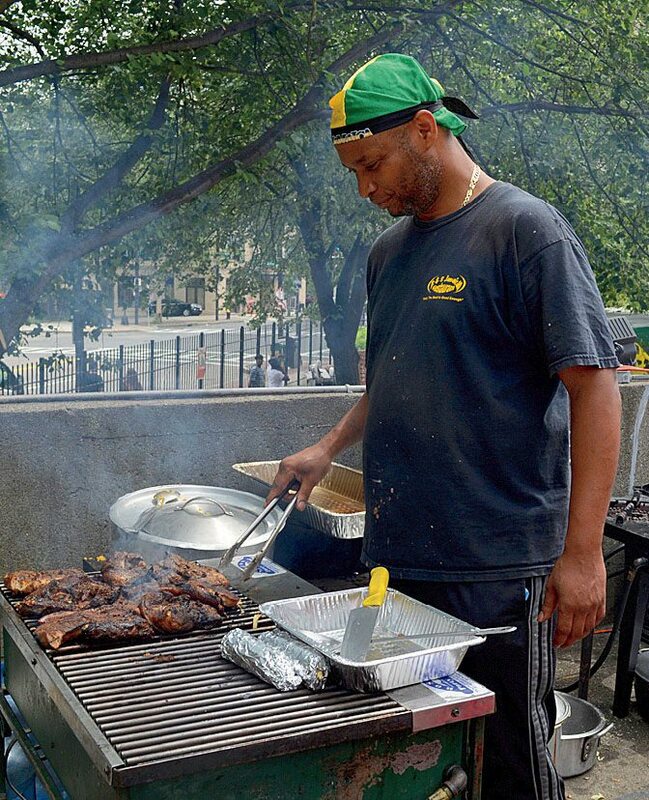 Irie Jamaican Restaurant offers up jerk chicken, seafood, and a chewy bun called "festival." Singh’s Roti Shop in Boston serves traditional Indian flatbread with jerk chicken, curried goat, or chickpeas, as well as Jamaican-style beef patties and pholourie, spicy fried dough balls with an addictive, house-made tamarind chutney. Singh, like many culinary entrepreneurs, still readily takes his food on the road. 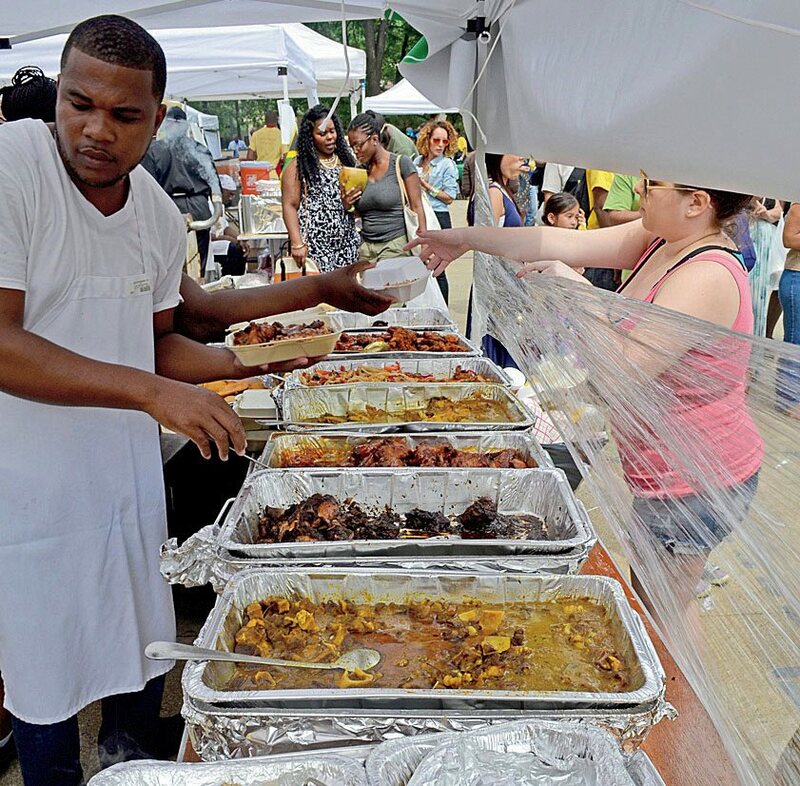 His roti, along with fresh coconut, pineapple, and soursop juice, can be found at many regional festivals, including the twenty-third annual Cambridge Carnival on September 13. The Cambridge fete is a far tamer version of the Brazilian carnivals traditionally held before Lent, but still draws a throng to Central and Kendall Squares. A three-hour parade kicks off at 12:30 p.m. on River Street. Streams of dancers clad in scanty satin costumes loaded with rhinestones, sequins, tassels, and faux jewels—some sporting giant feathered headdresses and masks—strut proudly like exotic birds. 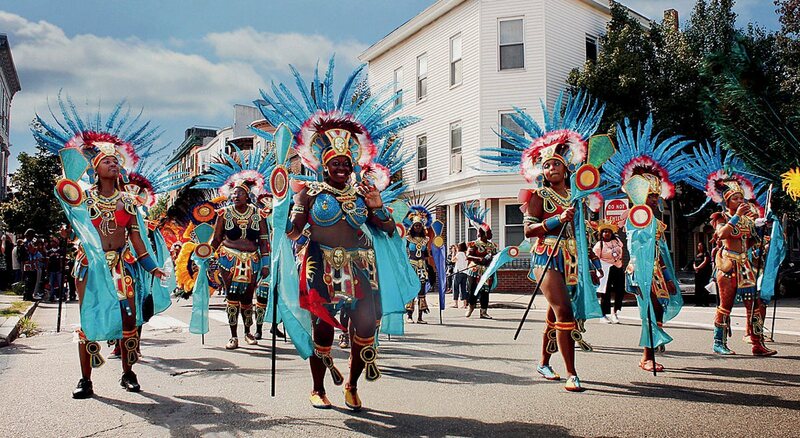 The spectacle ends on Main Street, where more live, loud music—from reggae, rap, and hip hop to calypso and “kompa” (Haitian pop)—is on offer, amid vendors of crafts, clothing, and food (à la carte items, $4-$5; combination platters, $8-$13). Singh will be there. His tropical beverages come ice-cold, with a straw, in cored pineapples. “We also use fresh soursop,” he says of the white, pulpy, native Caribbean fruit that tastes of lemons mixed with pineapples and a strong shot of banana. 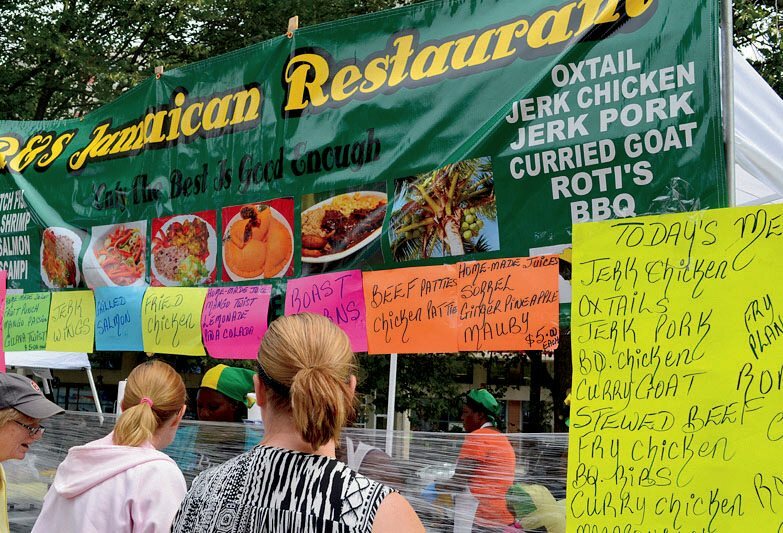 R & S Jamaican Restaurant owner Shernett Barrett cooks and sells her food at fairs all along the Eastern Seaboard. “People eat with their eyes,” she says of her open-grill style. “My motto is ‘Only the best is good enough.’” She typically offers jerk chicken and pork, curried chicken and goat, rice and peas, fried ripe plantains, and steamed vegetables. Flames Restaurant is a larger outfit with three locations in Boston that serve “Caribbean and American food.” That includes classic Jamaican dishes plus the occasional specialties (when available): curried conch and ackee. The latter is the island’s national fruit—although when cooked it looks and tastes like scrambled eggs. Careful harvesting is required: what’s eaten are actually the yellow arils that grow on the toxic black seeds found inside the ripe red fruit. (Unripened ackee is poisonous). East Somerville’s Some Ting Nice has an extensive menu, but co-owner Susan Puckerin plans to serve only jerk chicken and rice and beans, along with Jamaican-style roti, at the carnival. Dhal roti, she says, is a closed, or wrapped, roti stuffed with a mixture of split peas, garlic, and spices; aloo roti holds potatoes. The “buss-up-shut” roti (as in “busted up”) means the bread is pulled apart and used, like Ethiopian injera, to gather bites of goat stew, for example, and a dollop of mango kuchela. The Indian-Caribbean chutney is bold: unripe green mangoes, mustard oil, and hot peppers.